The convenience store. Same situation where ES is resting her head on the table, and YD sits down in front of her with his ramen. YD kicks the table several times- “Why do you always sleep in places like this, making me want to protect you?” ES pretends she is still sleeping. YD’s phone rings. It is Tan. 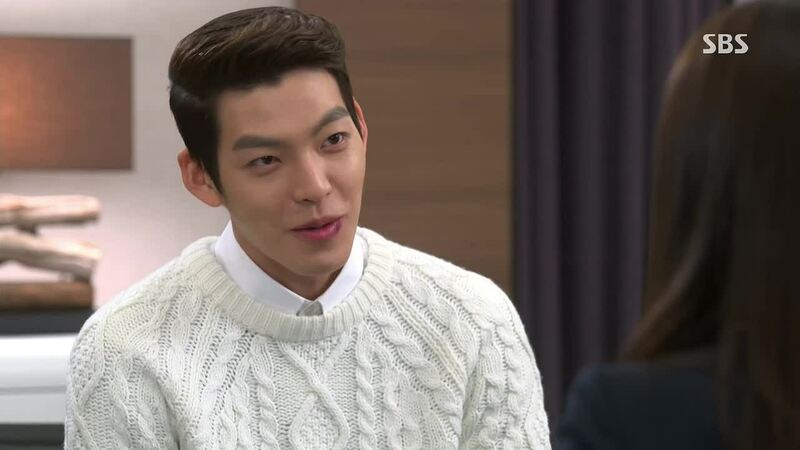 YD asks, “How did you know my number?” Tan retorts, “You know my number too.” Touche. YD: Do you want to come over and eat ramen? T: Do you think I called because I was happy to see you? 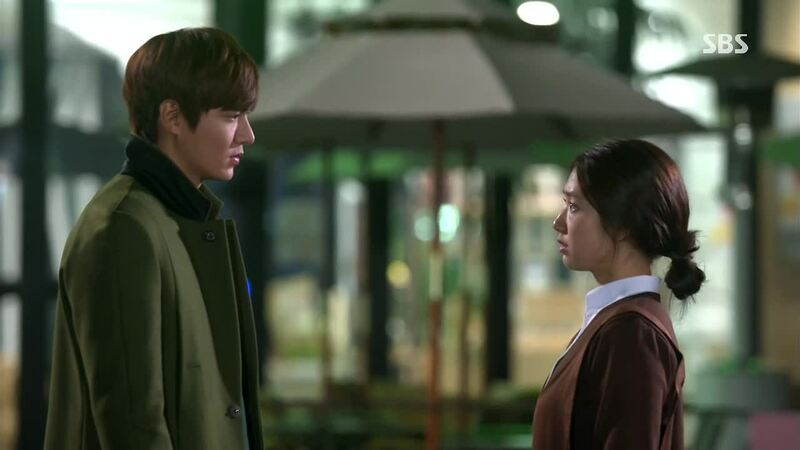 YD looks over to ES and says to Tan, “I will connect you to the person you are happy to see.” YD kicks the table more and says, “Wake up already. 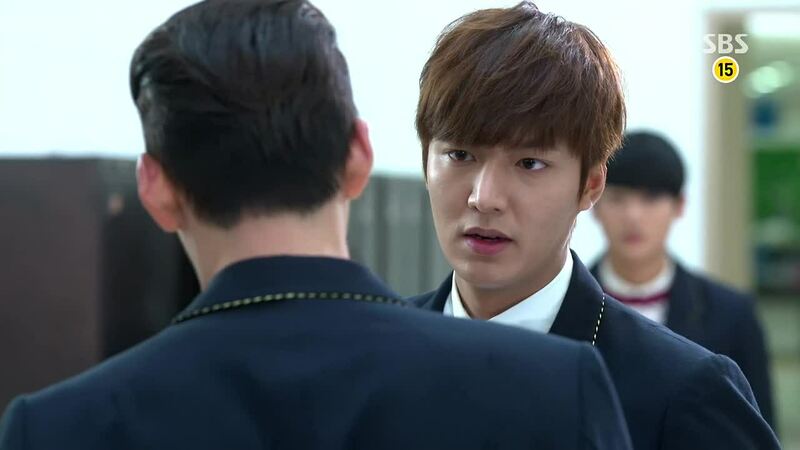 Kim Tan is here.” ES pretends to have just woken up. She finally sees Tan across the street, and he gives her this look like a dad would give his misbehaving child. YD tells ES to go chase after Tan. ES says she didn’t come to meet Tan. YD doesn’t believe her. “Then this situation is all coincidence?” ES replies, “Then did we two meet because we promised?” ES leaves. YD still doesn’t believe Tan or ES, saying, “There is no winning against insistence. She asks Tan what happened between him and YD. Tan says he doesn’t remember, but in the present, they just don’t like each other. ES tells him to come in five minutes after she does, so the parents don’t know they know each other. Tan wonders why can’t they just have met in the garden by coincidence. ES goes in and greets KA, who is in the kitchen. Tan comes in asking for water. Before ES can quietly leave, KA makes ES bring water and introduces Tan to her. She introduces ES as the daughter of the woman who can’t speak. ES says nice to meet you for the first time. Tan says he has seen her often in school. 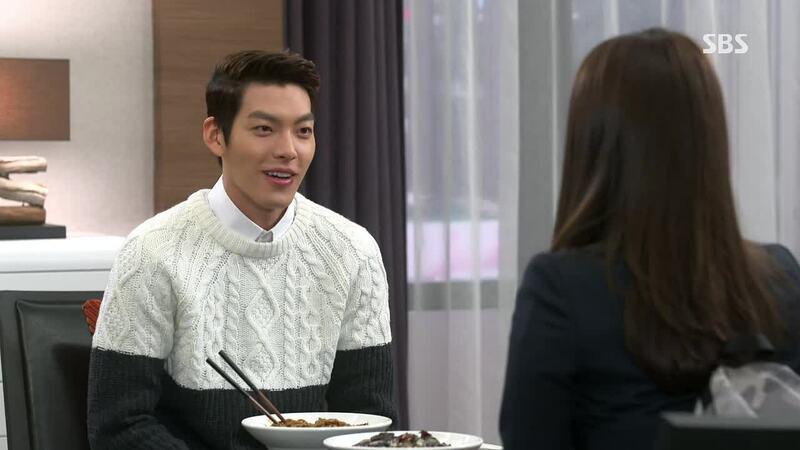 ES says she has never seen him in school, when KA asks. Tan goes up to his room. KA wants ES to report to her about Tan. ES: “Report?” KA snidely asks, “Why? You don’t want to do even that when you are going to a private school for free?” ES has nothing to say to that. Tan is outside and hears KA say to ES, “But I don’t meet that you should be friendly with him. Just because you go to the same school and live in the same house, you can’t act like you are friends. Just like how you guys live in different spaces in the same house, you need to breathe different air in the same school. You also can’t speak informally to him just because you are the same age. ES: Then he is like the master of the house. ES goes into her room. She sees the school uniform. Mom bought it. Her mom tells ES not to worry when ES exclaims about the cost of the uniform. She tells ES to try it on to see if she looks nice in it. ES thanks her mom and gets teary eyed. Esther wants them to take a family picture. R: Do we really become a family if we take a family picture? R says she won’t go. She leaves her mom. R calls up YD. R asks YD about the family picture photo shoot. She asks if there is any way they can break up the engagement. YD: Shall we date? R: I’m not asking you to break up my engagement. YD says even if he can’t break up the engagement, he can stop the photo shoot. But he wants something in return from R.
It is dawn, and Tan is waiting for ES. He and ES take the taxi to go to school. 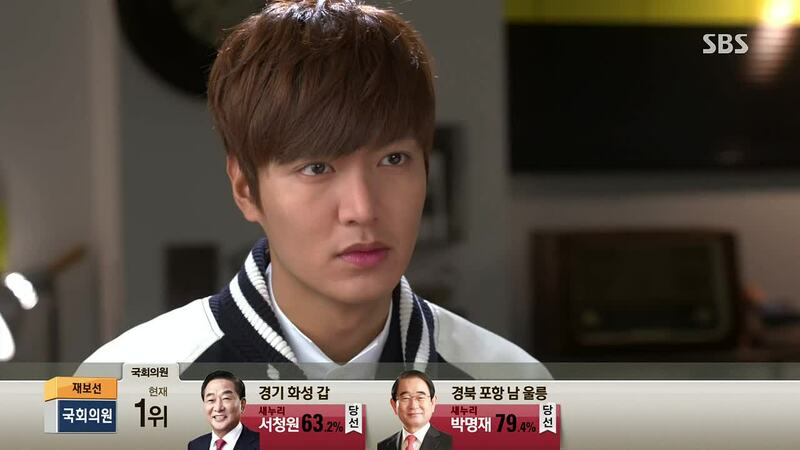 Tan coaches ES on what to say to KA: Kim Tan is well liked in school because he is handsome. 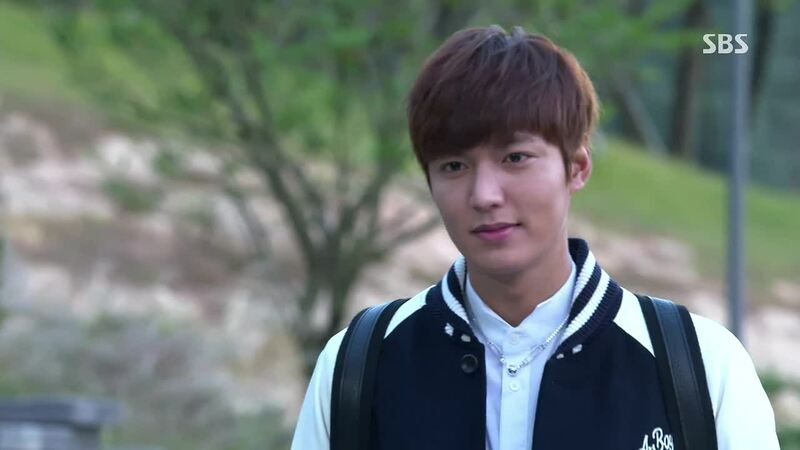 Kim Tan does well in his studies because he is so handsome, etc. Man, this guys is so humble. 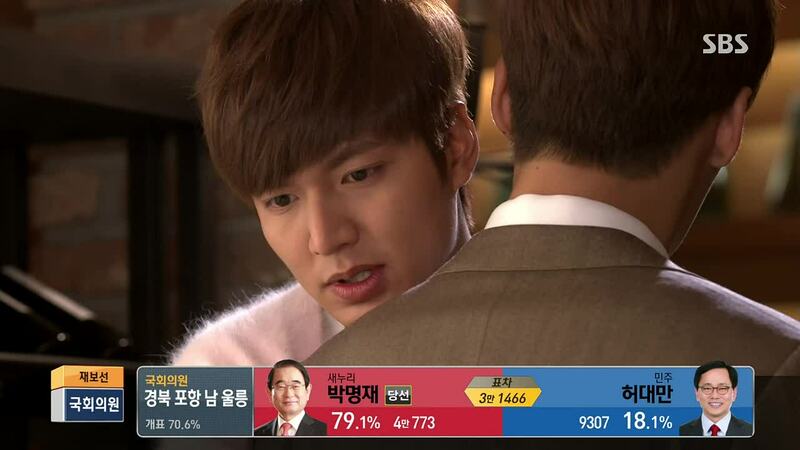 Tan notes that ES said yes to his mom readily when KA asked ES to report about Tan ES: What else can I say? Tan: So you say all your no’s to me. Tan asks what she wants to avoid by going to school so early. ES thinks about all the rich kids’ cars. She asks to be dropped off separately, but Tan wants the driver to take them to the front of the school. No one will be there this early. Before she can say anything else, he turns her attention somewhere else and rests his head on her shoulders. “I’m tired. I woke up too early because of you.” Tan adds, “You look good in the uniform.” ES can’t help but smile a little at that. At school, he walks behind her. His eyes are drawn to the back of her neck. He can’t stand it anymore, and he pulls her hair down. ES turns around surprised and exclaims, “What are you doing?” Tan replies, “Don’t tie your hair in school.” He ruffles her hair, pulling it over her face and telling her she looks prettier covering it. ES is worried that someone will see. Tan wonders who will at this time and out appears MS. He looks like he stayed out all night. Tan guesses he has been clubbing at night. MS steps on the body outline. He tells ES that it is fake and someone keeps drawing this. 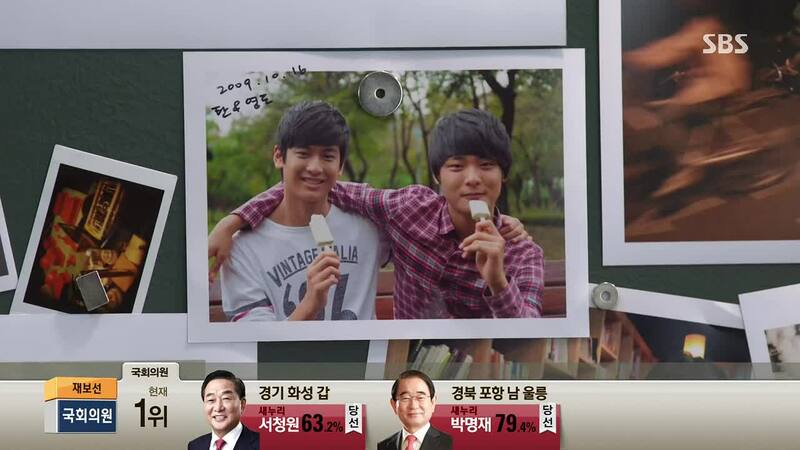 It might be that Joon Young (the bullied kid). MS keeps asking ES if they have seen each other before. Tan replies that ES doesn’t go clubbing. MS asks how Tan knows that, and Tan replies that clubs are picky about who they let in, implying that ES is too ugly to get into clubs. HA! KA’s friend visits KA. Friend gets call from daughter’s school, and KA is jealous because she can’t even show her face at her son’s school. Friend asks how the affair plot is going with JS. JS unfortunately has a very boring life. Friend suggests targeting Won this time, but KA says Won is even worst, almost like a priest. Again, ES’s mom is there to overhear. KA is done, annoyed with mom. Friend asks if mom is really mute. KA tries to sneak up and check but it doesn’t work out. We find out that ES’s mom became mute after a high fever at the age of three. ES is having an interview with HS. She listed sign language as her talent. HS notices she has a uniform, which makes it unnecessary for her to get into the club. ES confesses that she lied about buying the bag instead of the uniform. HS replies that it seemed like that. But ES still wants in. She signs that she will get revenge if he doesn’t pick her. Unfortunately, BN doesn’t want her boyfriend’s best friend in the club. Another girl want to get into the club, so BN picks the lesser of two evils- ES. Outside, ES tries to tie her hair, but Tan takes away her hair tie. YD watches. 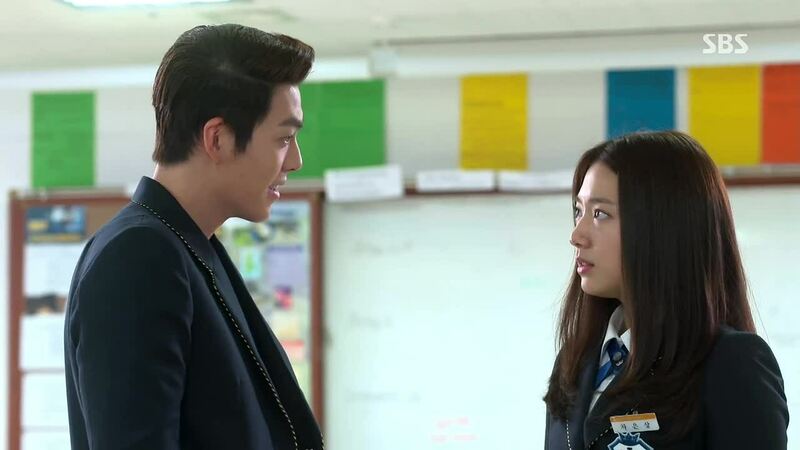 ES notices the strange look on YD’s face. Is it a strange mixture of anger and sadness? Won tells Daddy Kim he is going to live outside. He has no place to return to now. Dad thought Won would be more wise and sophisticated about this. Won retorts that it wasn’t sophisticated or wise of dad to bring Tan to the office. Dad replies that Tan is only 18. Won says he was only six when he lost his mom, twelve when he got a half-brother. ” I know there is more to lose than to gain. But there is still something to gain- someone will get hurt. Someone else’s pain can be comfort to me, father.” Ouch, that is mean. Won tells him he is noisy and just leaves Tan alone in the cellar. 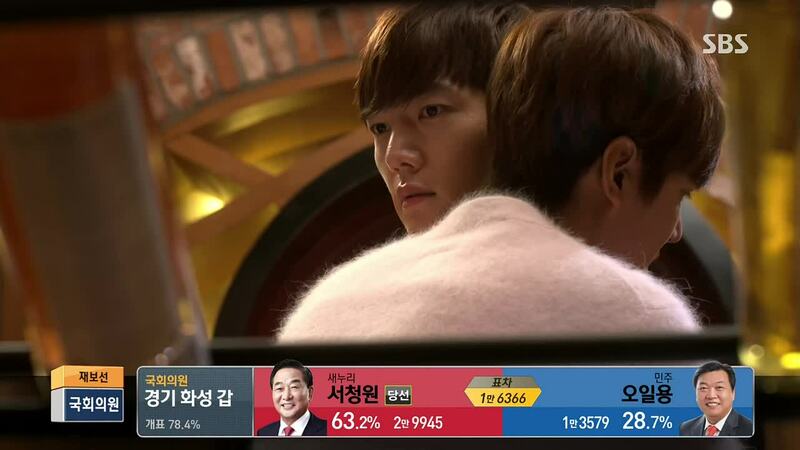 *Heart breaks* But I must say, why is LMH wearing a fuzzy cotton-candy pink cardigan??? Inside the cellar, Tan turns on music- “Two People”- what ES was listening to before the other night. 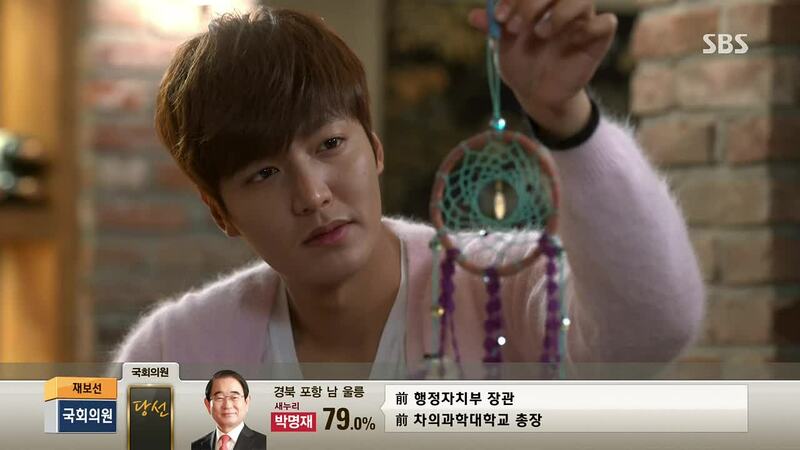 ES comes in and says thank you for the dream catcher, handing it to him. Tan: “This thing is fascinating. 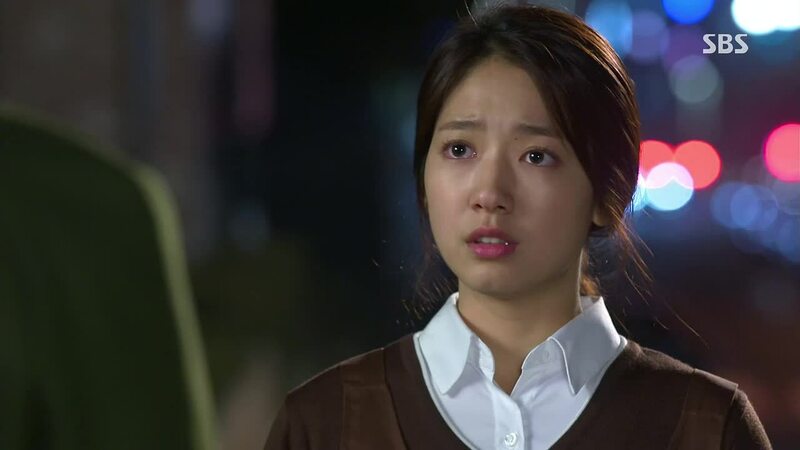 Without it, I had a nightmare.” Tan asks her to stay for the music. Sorry, I’m kind of laughing here about the cheesiness of his line. ES sits down, saying it’s because he picked a good song. Tan asks if ES likes he song, and she replies that someone she liked liked this song. Tan gets all jealous, and ES adds, “I didn’t say it was boy.” Tan smiles. “Oh, you didn’t it.” CUTE. ES says it’s her sister. 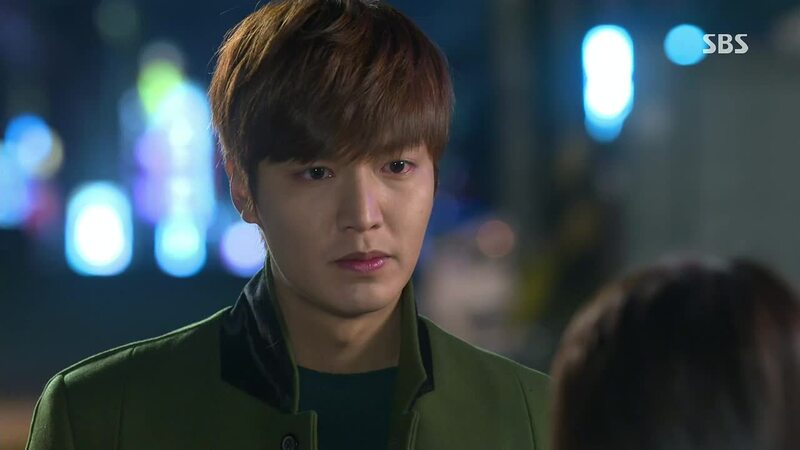 Tan asks if ES still wants to go to the U.S. now. ES explains it wasn’t necessarily the U.S. she wanted to go to, just some place that wasn’t Korea. Now that she is back, it’s the same- one part-time job after another and a very shocking transfer. Tan offers his help when she needs it. ES, scared, tells him to bug off. YD sneers; would it be too rude if he asked her how she can be so audacious. 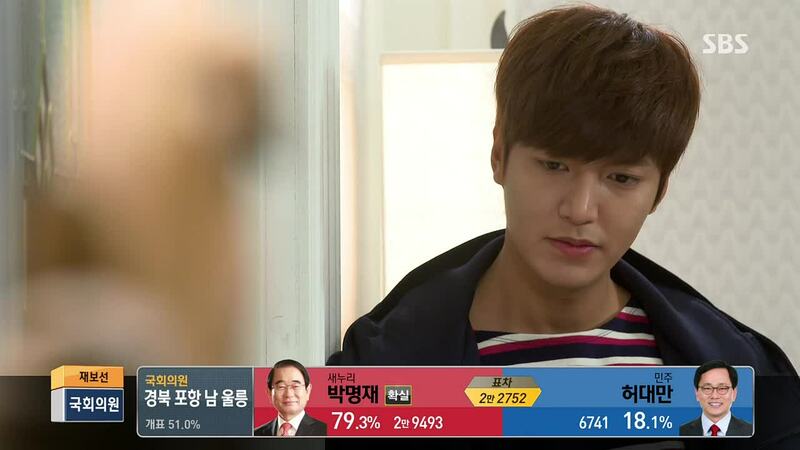 CY comes in and says to YD he is a bother to so many students. YD says to ES, “Why does our transfer student have so many black knights? It makes me competitive. I’m could get more twisted.” YD leaves. BN is mad that she was put in this situation because of ES. CY says thanks to BN, but BN is mad at CY too. CY helps out ES, and BN storms off. Ye Seul comes in to Tan’s class to report what happened to ES. Tan is about to run off, but the class starts. 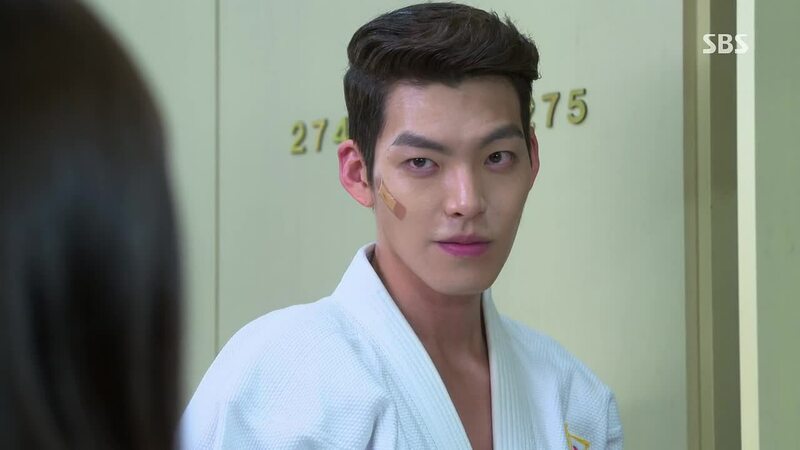 R sees Tan looking worried throughout the whole class and looking at his watch. At the end of class, Tan is searching for ES. In the hallway, a crowd has gathered around Joon Young and YD. It seems YD has filed charges against JY for the time JY fought back. JY begs YD to cancel the charges. Of course, YD refuses. JY asks what he can do. YD tells him to get on his knees, although he can’t guarantee he will change his mind. JY gets on his knees. Tan comes, and tells JY to get up. JY tells him to stop butting in. “Don’t pretend you are nice. You are just like YD.” Tan asks, “Did I bully you in the past?” JY replies, ” At least YD remembered.” Tan apologizes, “I will repay you like this.” Tan hits YD. “Since I hit you, try to get me to get on my knees too.” Before YD can do anything, a teacher comes. With JS, YD assures JS that he won’t file charges. JS says she is apologizing as Tan’s mom. 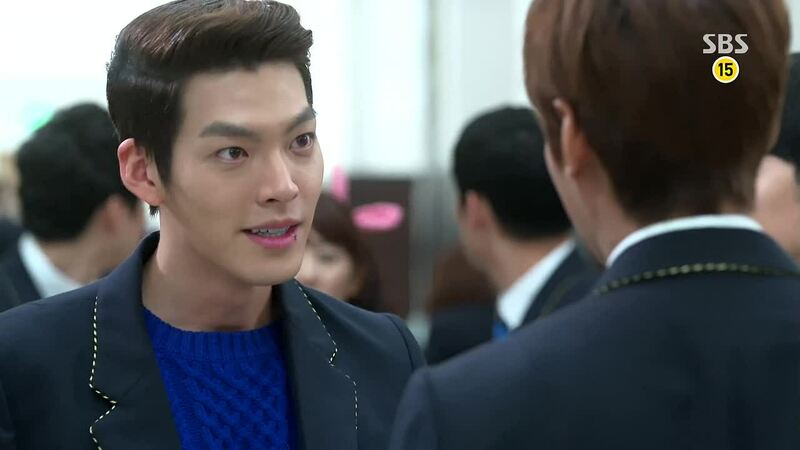 JS yells at Tan for starting trouble. “Transfer then. Who should I tell on for you to be scared? Your brother?” Hit where it hurts, why don’t ya, JS? YD pretends to be nice and says, “I’m okay. Don’t yell at Tan too much.” Tan give him a death glare. Outside, YD once again tells Tan to transfer, and Tan replies that the person embarrassed because he got hit should transfer. YD jabs at Tan, “Just because she is not your birth mom, aren’t you ignoring her words too much?” Tan warn YD to leave before he gets hit on the other side. 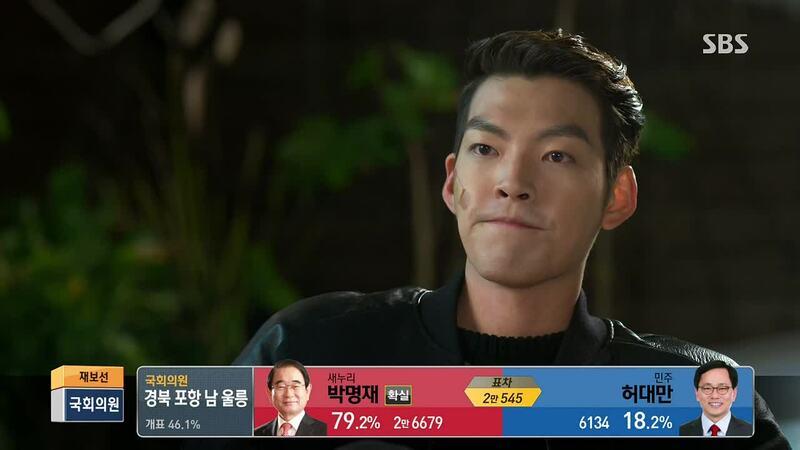 YD wants Tan to bring it, but Tan thinks there will be another chance in the future. Ye Seul, BN, and MS talk about what happened to Tan and YD today. BN stops R to talk. She is mad that R told CY that she and Tan dated. R says CY shouldn’t be hanging around another girl. BN says it’s Tan and ES that seem to have something going on. R tells BN to not push her over the edge. She already has a lot on her plate. Esther has come to pick up R. E sees Tan and honks, which R didn’t want her to do. Tan looks uncomfortable with E’s offer to have a meal together. E is mad that Tan can’t even feign friendliness. R tells E about YD and Tan fighting. 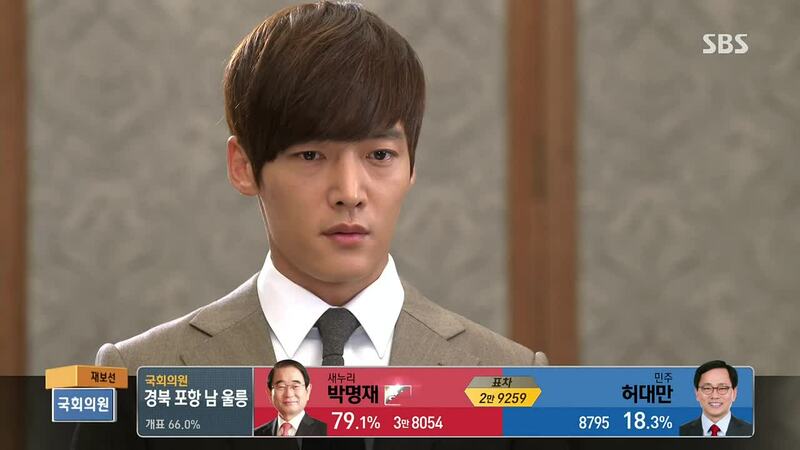 YD deserved it because of the way he has been acting around school. It says something about the man E is about to marry to have a son like that. “One thing I know for sure is that my fiance is better than you fiance.” E gets mad the tells R to get off. What kind of mom just drops off her daughter in the middle like that??? E is at the Zeus hotel, and asks about Won, who is staying at the hotel right now, to ultimately get CY’s dad’s number. She calls, but Yoon is standoffish. Interesting that Yoon already has her number in his phone. Dad asks if Yoon is dating someone. 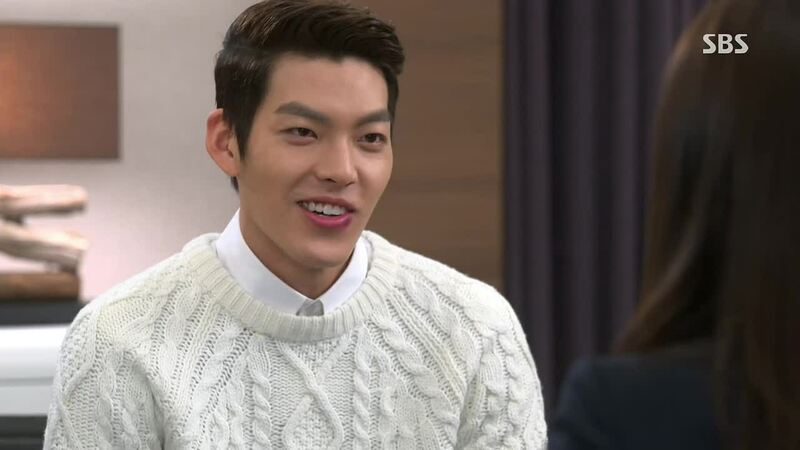 Yoon says it is something closer to an affair. Dad warns him against it- “Look at me.” Yeah, dad, look at you, you jerk. Outside, Yoon notices the guy who reported to Daddy Kim about ES and HJ carrying the Jeguk envelope. CY and ES are studying. ES ignores a phone call from “Do Not Answer.” Ha! 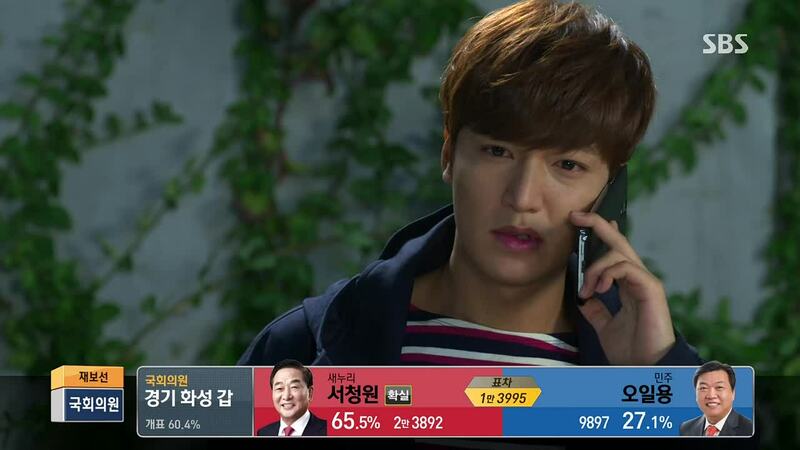 After CY leaves, ES picks up YD’s call. YD want ES to come over and eat with him. 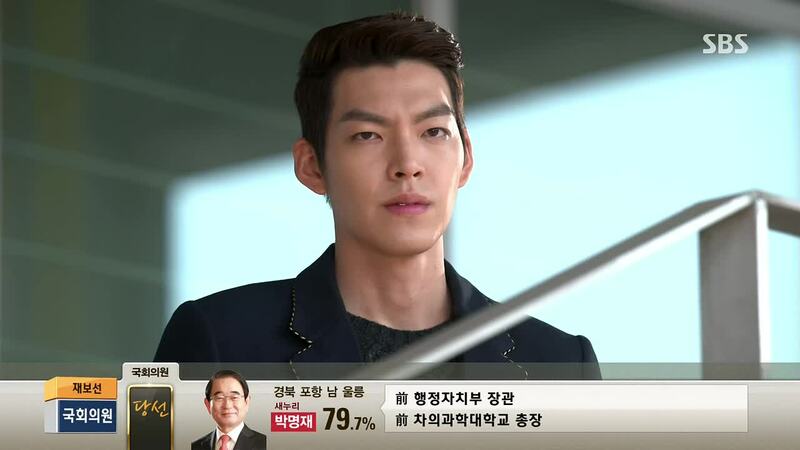 YD also sent JY to make ES come, saying to JY that he will cancel the charges against him, if JY can bring ES to him. ES replies that she hates both. YD smiles like a shy kid and says, “I’ve been rejected. I’m going to take revenge.” ES can’t believe this kid. R has come to complain to YD about him not having canceled the photo shoot yet. R enters and sees ES. She asks about this situation, but YD says mind her own business. R says she doesn’t care to stay anyway and says to ES that ES seems to get around. 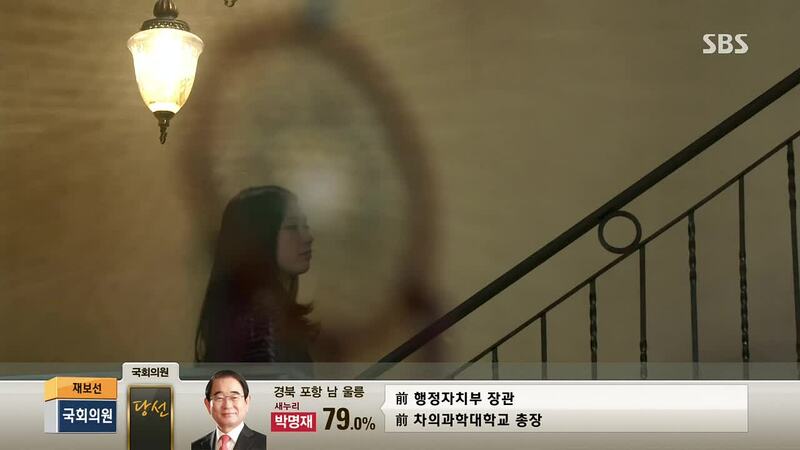 ES sighs and says to YD, before she leaves, to please keep his promise about canceling the charges against JY. R calls Tan and tells him ES and YD are together at the hotel. That’s really dumb, R. Tan hangs up and calls. No one picks up. He keeps calling and calling. ES’s mom gets a message about parent conference in school. ES’s mom is replying she can’t go. KA sympathizes with her. Tan leaves the house in a rush. ES can’t answer. All she says is that she went to help JY get the charges canceled. Tan is exasperated- “You believed that?” ES says she doesn’t, but she had to help out JY. He kept her secret. 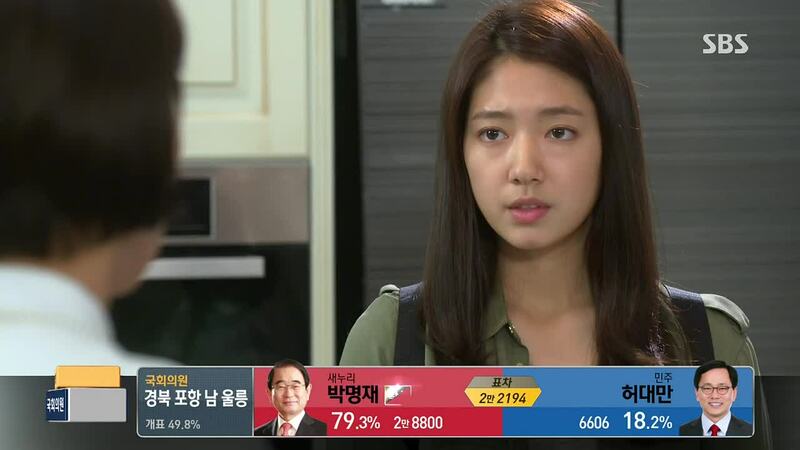 Tan: I like Cha Eun Sang. 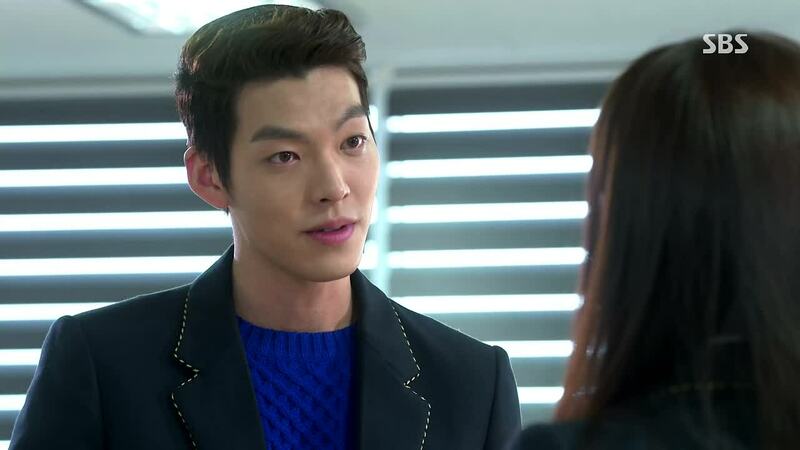 R: So what if you like Cha Eun Sang? Tan: Do we look good together? YD: Why are you asking something so horrid like that? Tan: We look good together. KA: If you keep behaving that way, you and your mom won’t be able to stay in this house. ES: Me sitting here, what does it mean? Tan: Get up. Get Up! YD: What kind of meal etiquette is this?